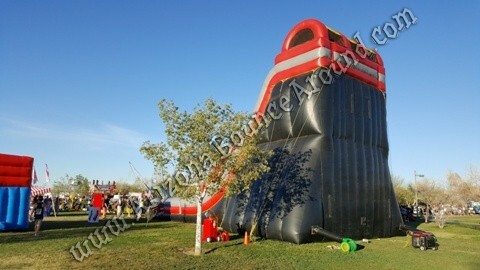 This giant Inflatable slide is extremely fast and steep. 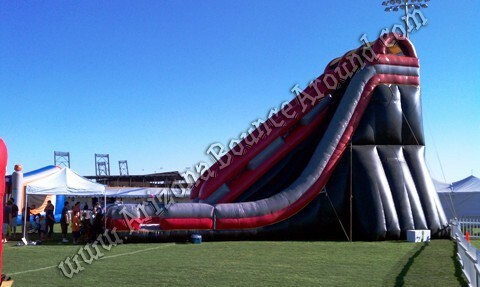 Gravity Play Events has the only 35' Tall dual lane slide in Colorado that will make anyone, no matter what age, get butterflies in their stomach. 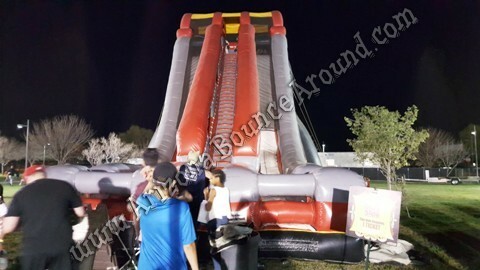 It's like being at the top of the ski slope looking down a triple black diamond run then pushing off. 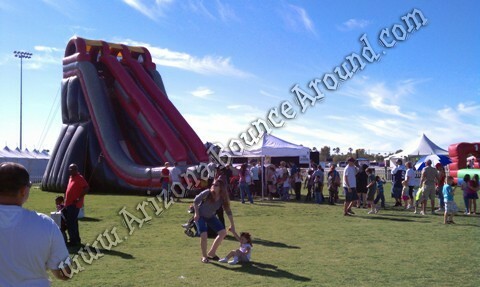 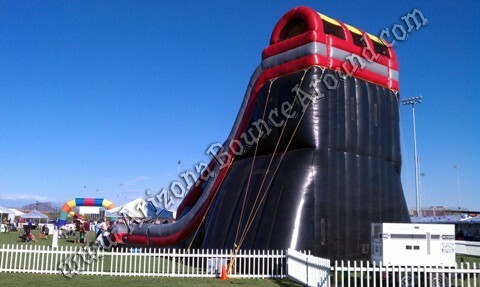 The Black Diamond slide rental is sure to attract all the attention of any event. 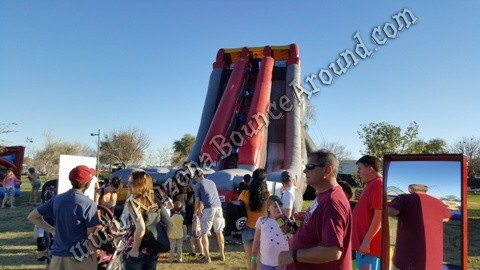 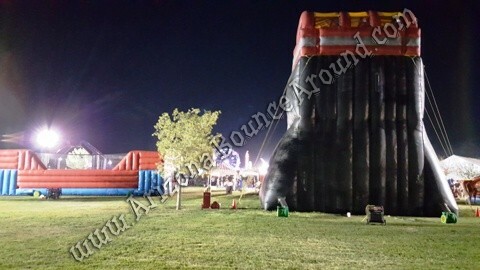 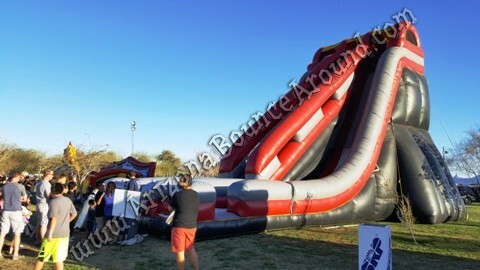 Don't miss out or go unnoticed, let the 35' Tall Black Diamond Slide be the center piece for your event! 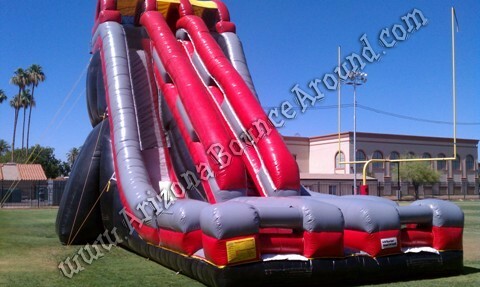 If you're looking to rent a big Inflatable Slide in the Denver, Colorado Springs, Aurora, or Fort Collins area look no further than Gravity Play Events. 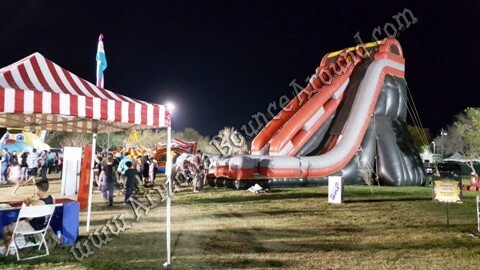 If you're looking for a Huge Inflatable Slide Rental for your next city, church, school or company party Gravity Play Events has it for rent and it's on sale again this year. 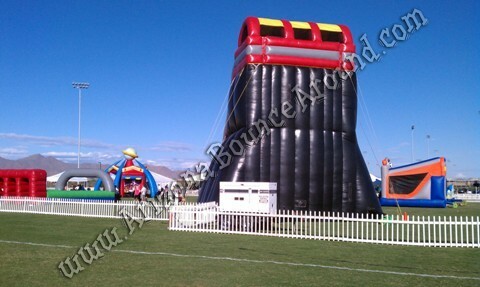 Add our Human Wrecking Ball rental, Sumo Wrestling Rental, Obstacle Course Rental, Gladiator Joust Rental, or any of our Inflatable Sports Game Rentals to your next party in Denver, Colorado. 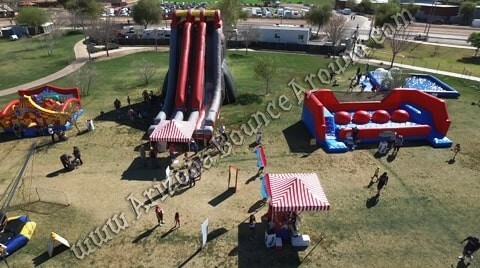 Having trouble choosing something for your next party rental?